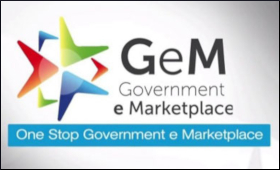 Last week saw the launch of a national mission on Government eMarketplace (GeM). The objective is to promote inclusiveness by empowering MSMEs, start-ups, domestic manufacturers, women entrepreneurs, and self-help groups. Under the mission, the Central and State Governments along with Banks and PSUs will undertake a range of activities, including organising of workshops, roadshows, trainings, and communication activities, including buyer and seller registration. No doubt this is a welcome step. GeM, the National Public Procurement Portal, was launched on August 9, 2016 and if official figures are accepted, it has grossed over Rs. 10,000 crore (in GMV) in last two years through more than 6.16 lacs transactions. It has made over 4.2 lakh products available through a network of over 1.3 lakh sellers, while buyers from across 36 states and UTs are buying on the platform. As far as MSMEs are concerned, more than 40 percent of transactions by volume are done with such units registered on the platform. No doubt, this level of achievement is commendable. On the one hand, GeM has saved a lot of time and money for PSUs in finding credible vendors, and on the other hand it has brought together leading PSUs from across sectors and MSMEs, paving a way for long-term supply relationships between them. Additionally, GeM has provided a learning experience for MSMEs, making them aware about the product/service requirements, procurement policies, delivery terms, tender documentation, etc. followed by leading PSUs. But I think there is a lot more potential to be tapped. Currently, a total of 1,33,000 sellers and service providers are listed in the GeM portal, but this number is very small, considering the size of our MSME sector only. So, definitely initiatives like the one announced last week are welcome. Government needs to play its part in increasing the number of vendors, particularly from the MSME sector, on this platform. At the same time, it is equally important that MSMEs themselves do not allow this opportunity to slip by. i,somnath seal from nadia disatrict westbengal.i m start a new business ,so what can i do? Every effort of Government is okay. However, everything is nullified by the most inefficient banking sector where none of the officials know what is banking. It is high time the Government initiates action to train bank officials on banking, particularly on international banking. Have you ever heard of a bank official asking collateral security from the foreign supplier when you approach the bank to open a letter of credit? Subject : Re: GeN if opportunity. How this is different than "L1 "system of bidding. The prices will be known to one and all including the competitors, which is disadvantage. This will encourage supply of second quality goods just to push down prices. There is no preference to MSME sector as against large corporates and foreign parties. Govt establishment prefer foreign equipment against local for well known reasons. There is no preference for indigenously developed design and technology. Will GeM address these issues. Hope to receive a reply.